The PTC upgrades are expected to be completed by the end of 2020. SANTA FE, N.M. — The U.S. Department of Transportation (U.S. 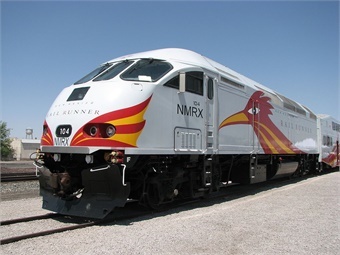 DOT) awarded a $29.4 million grant to the Rail Runner Express, which will help the agency complete its $60 million Positive Train Control project, the Albuquerque Journal reports. The upgrades are expected to be completed by the end of 2020, which is after the U.S. DOT’s deadline; however Rio Metro Regional Transit District Transportation Director Terry Doyle told the Journal the agency is seeking federal approval to keep operating under its current schedule until the work is completed. For the full story, click here.